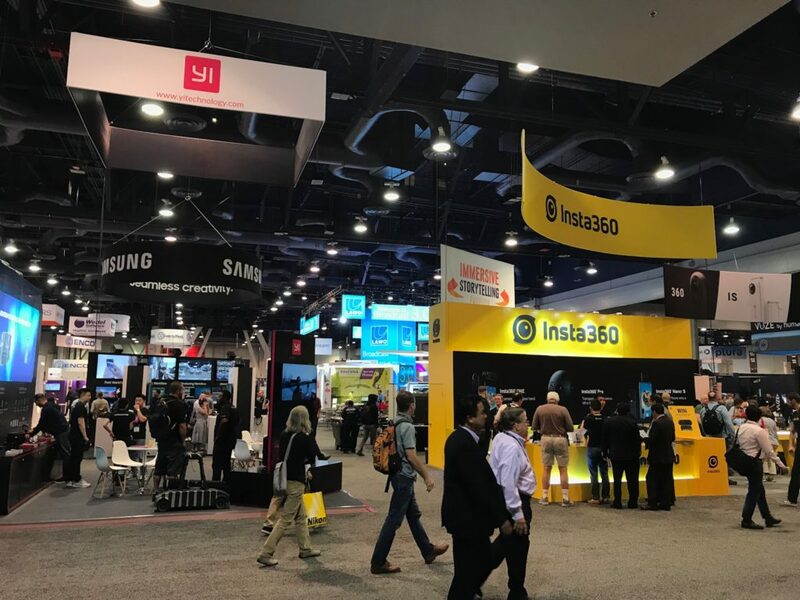 I already knew there were a few 360 camera companies with booths on the exhibit floor, which are always great to see the latest hardware and software developments. However I think I enjoyed the seminars more! Most happened on the day before the official opening. All were pretty well attended to, which was really good to see the interest in 360. First one was “360 VR Worflows in Final Cut Pro X.” Late last year Apple introduced 360 video editing tools to FCPX. I used them for the demo 360 video I did for the CL360. Since I only recently started using these new tools, I picked up some great tips from presenter Steve Martin (not the actor ?). Among other things was what I was starting to find out already—for DECENT looking 360 in a headset, you should be starting with about an 8K size! The demo video I did was the first I had done with 8k, and I think it does look acceptable, while 4K videos I did with a dual rig—not nearly so much, and still seemed on the low quality side. 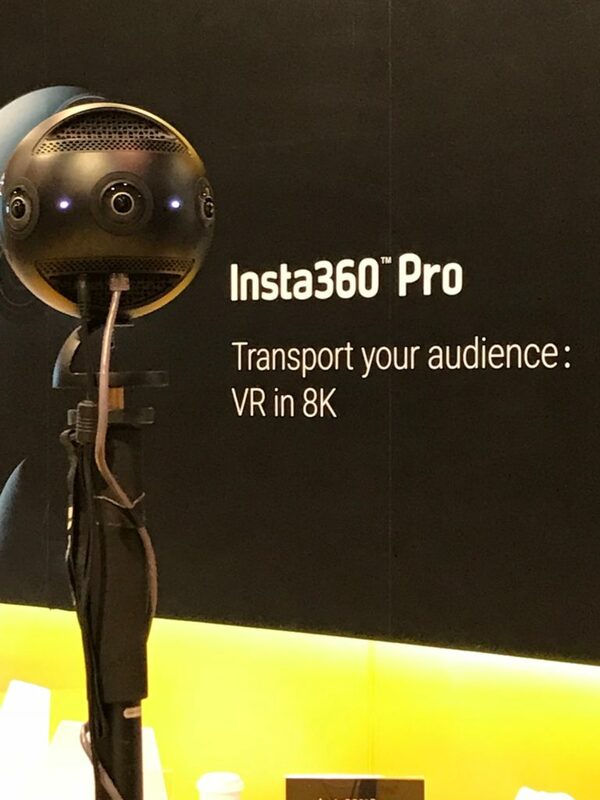 Steve used as demo footage an Insta360 Pro 8K system. Footage really looked great, and now I want a new camera ?. FCPX expert Steve Martin hosts this seminar on 360 workflow. 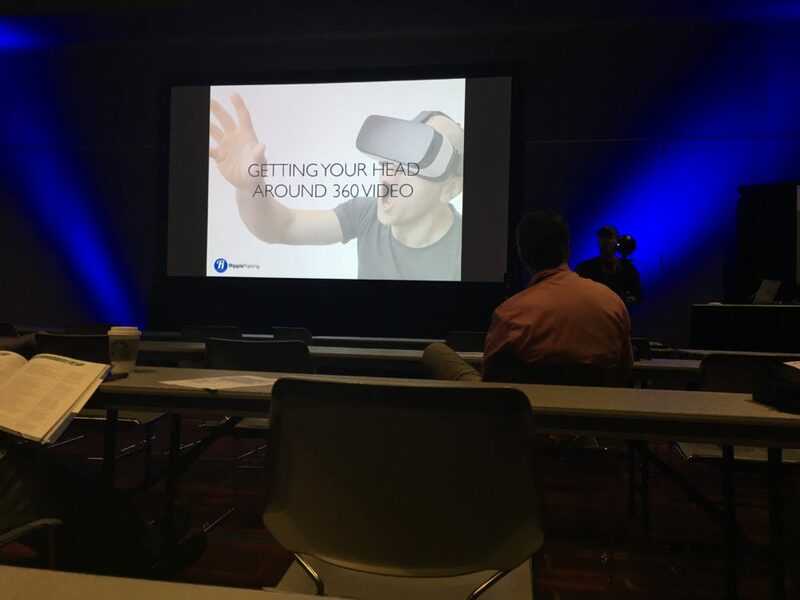 Next seminar was “VR on a Low Budget.” How low? Starting at about $100 for the Samsung 360 camera. Hosted by Jeff Greenberg, this was meant as a primer for how to get your feet wet exploring this new medium. I’m thinking everyone more advanced in 360 today probably started like this—I know I did! 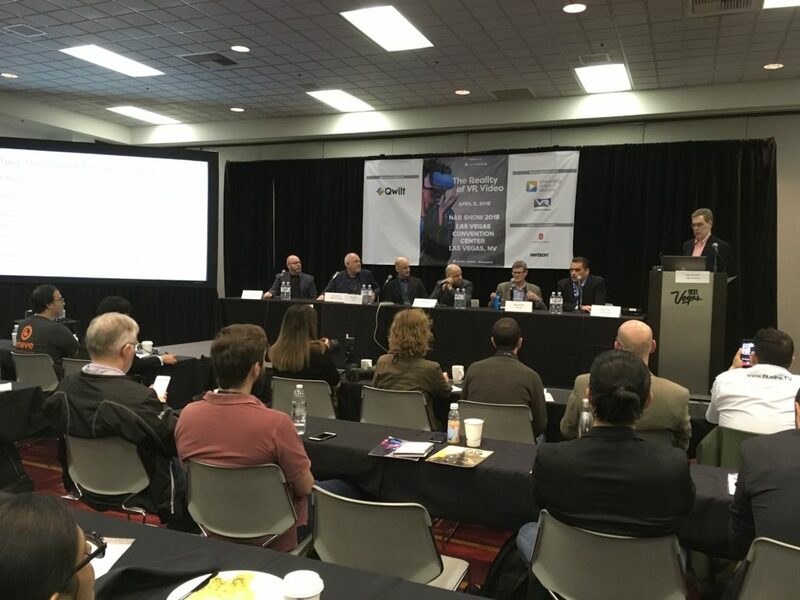 Next morning, just before the official opening of NAB, “The Reality of VR Video Breakfast Workshop.” Free breakfast, and a panel of six from various outfits discuss where we are now, and where we are hopefully headed. It was a large room and pretty packed with an attentive audience. 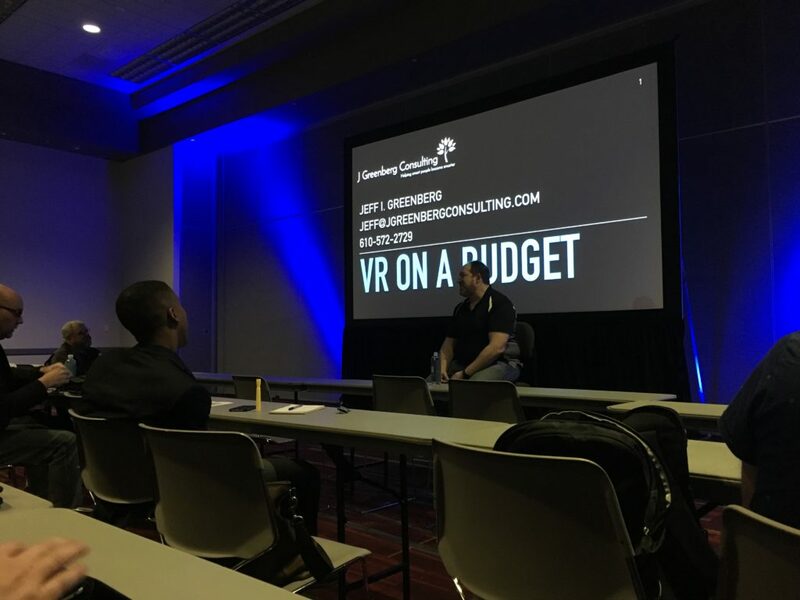 This was a great way for me to start NAB, and made me hopeful for a solid future for this medium that I’m attempting to carve my own niche out of!